For those looking to enjoy a life of luxury, on and off the course, purchasing real estate at one of Europe’s most exciting golf destinations may be just what you need. If teeing it up in the morning on a world-class golf course, before kicking back to enjoy the glorious views of the course as the sun sets if just what you are looking for, one of these six resorts will tick all the right boxes. With all the below also boasting an array of facilities and activities designed to enable residents to immerse themselves in the community spirit, you’re likely to come away with a lot more than just a beautiful property. The Ritz-Carlton at Abama Luxury Resort. The Ritz-Carlton is a luxury 5 star hotel. 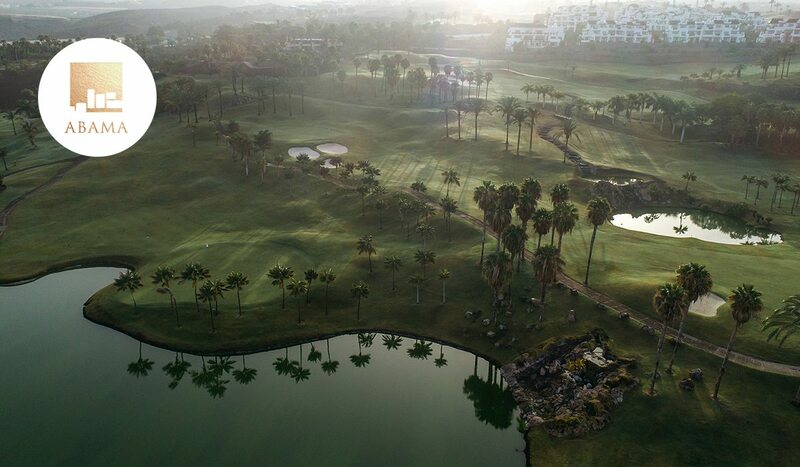 The 18-hole golf course is unique par 72, peppered with 22 lakes and over 90,000 palm trees. It stands at the 20th spot in our Top 50 Courses in Spain. 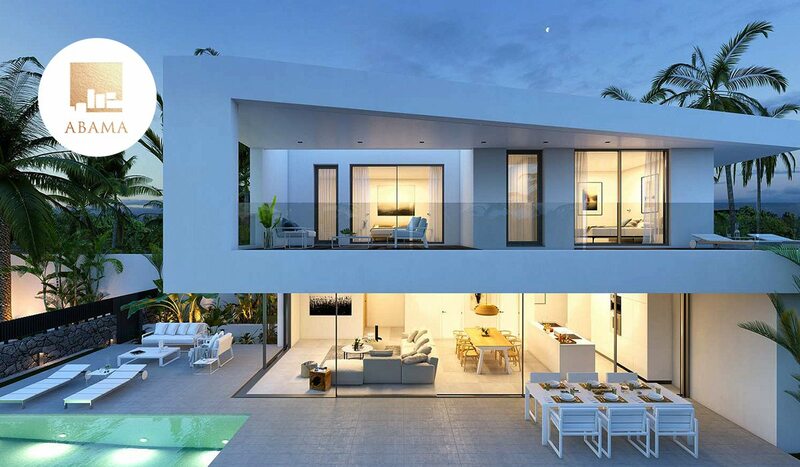 Las Casas del Lago is an exclusive group of six detached luxury villas boasting unobstructed sea views. 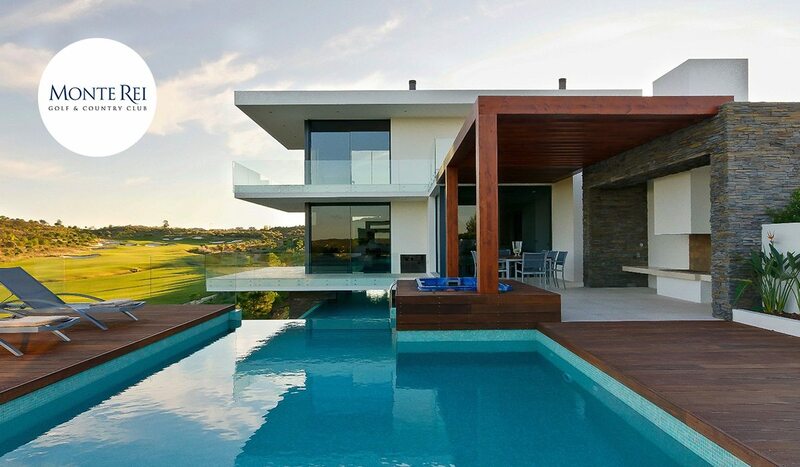 These extraordinary homes are designed by Leonardo Omar. For those who love the challenge of a clean slate, Abama offers villa plots for building luxury estates in front-line positions on our golf course, providing breathtaking views of the Atlantic and the other Canary Islands. The Las Terrazas apartments, so named because each has a private open terrace ranging from 28 to 123m2, provide all their inhabitants with spectacular views of the ocean and the luxury resort’s subtropical gardens. Tenerife may be the ultimate year-round golf destination. With temperature averaging 21 degrees fairways remain enviably playable year-round, while the beaches, volcanic scenery, and incredible stargazing opportunities will blow you away. One of the best courses on the island is Abama. 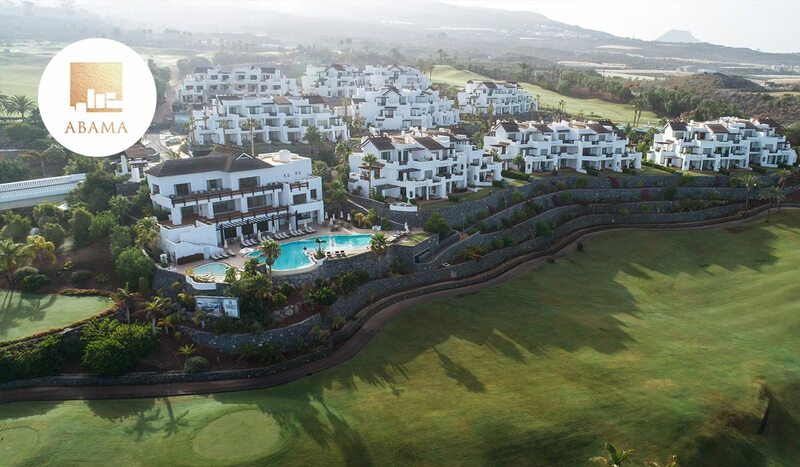 Located on the smooth slopes of the Pico del Teide volcano, the course features unbeatable views of the Atlantic. Meanwhile, the resort is an exclusive 400-acre vacation and residential destination tucked away on Tenerife’s idyllic southwest coastline. With world-class dining and 5-star services, many guests are so enamoured with the location they choose to make their home at one of the resort’s private luxury properties. With an undisturbed beach, sumptuous spa, and year-round springtime climate, it’s easy to see why. 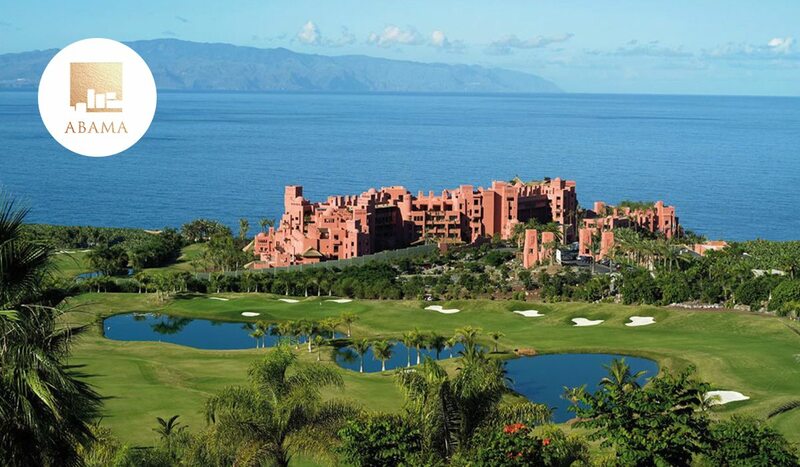 All real estate offers views over the Atlantic Ocean or Abama’s lush green course. As the venue for numerous PGA European Circuit tournaments, it is also routinely singled out for praise from the professional playing fraternity. It is ranked 3rd in our Top 100 courses in Continental Europe. For a slightly less stern challenge, turn to the equally beautiful but kinder Tour Course. 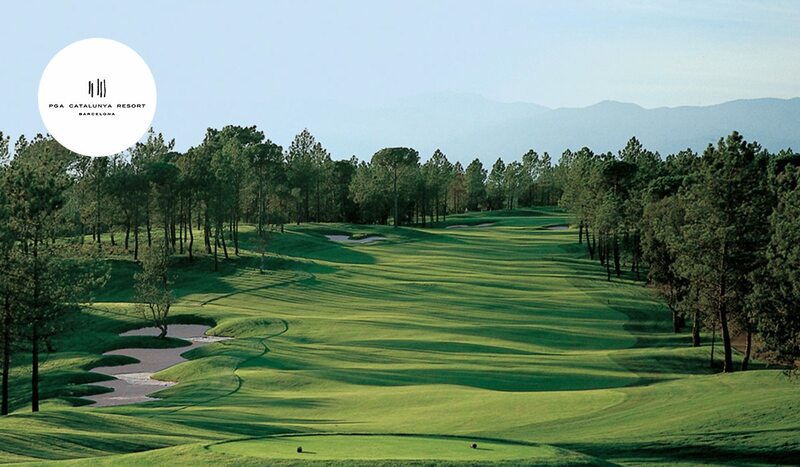 Dominated by pine trees and lakes, the course is shorter and a little less difficult to play than the Stadium Course. 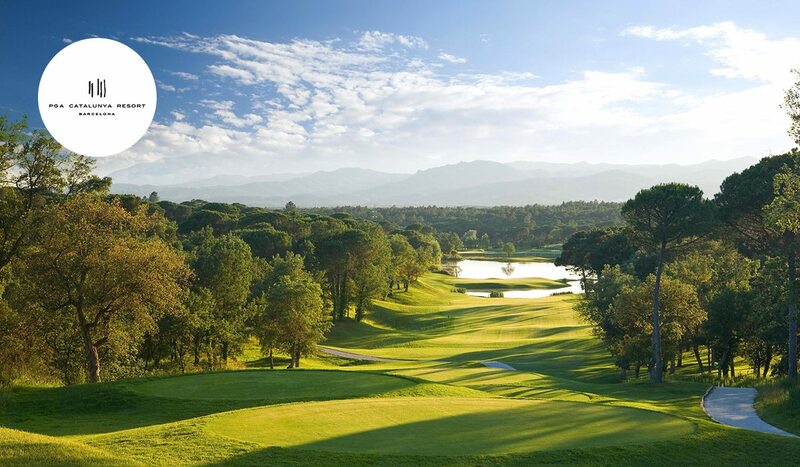 PGA Catalunya Resort is ideally located 50 minutes from Barcelona and just 15 minutes from Girona. 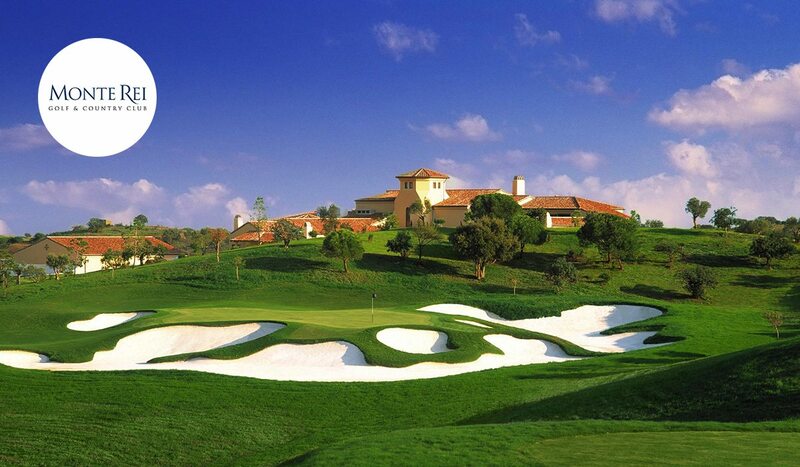 The European Tour destination is one of Europe’s leading luxury golf and lifestyle destinations. There are two courses on site, the Stadium Course and the Tour Course. The Resort offers the best possible golf combination due to the perfect balance between the Stadium Course, designed for major international events and for the most demanding amateur players, and the Tour Course with its constant challenges and spectacular holes that will meet the expectations of all types of player. A member of the Leading Hotels in the World, the five-star Camiral Hotel is the ideal base to enjoy the world-class golf facilities. For those looking to settle in this idyllic location, there is also a range of contemporary properties on site. 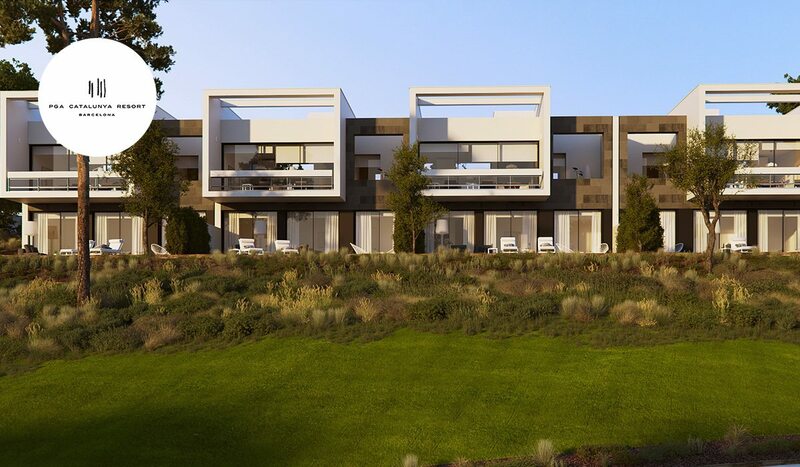 Choose from apartments with spectacular views across the 18th fairway of the Stadium Course, stylish townhouses, or relaxing Mediterranean villas. Residents are treated to a range of wellness treatments and facilities on site. Wake up with a few lengths of the pool under the morning sun. Then take to the course, play tennis, or improve your physical fitness at the Residents Club & wellness centre. The resort is also creating a new, on-site vineyard, Celler Mas Hereu, which will eventually produce its own wine. 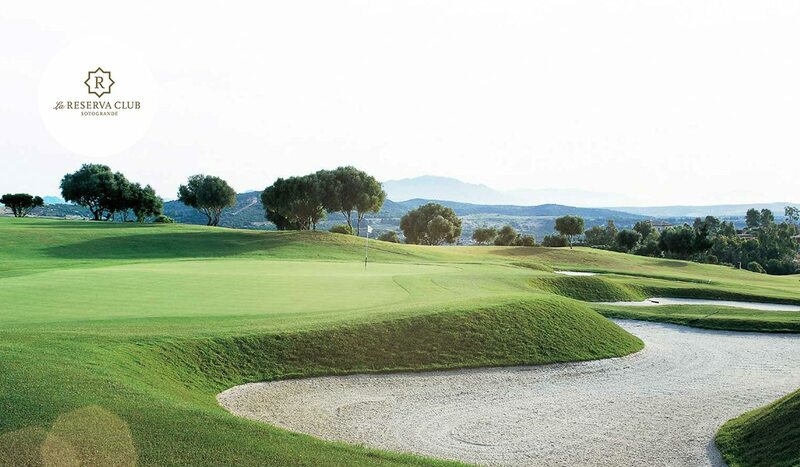 The 18-hole, 7,400 yard course was designed by the American architect and golf course designer Cabell B. Robinson and is widely regarded as a must-play for any golfer visiting Sotogrande. 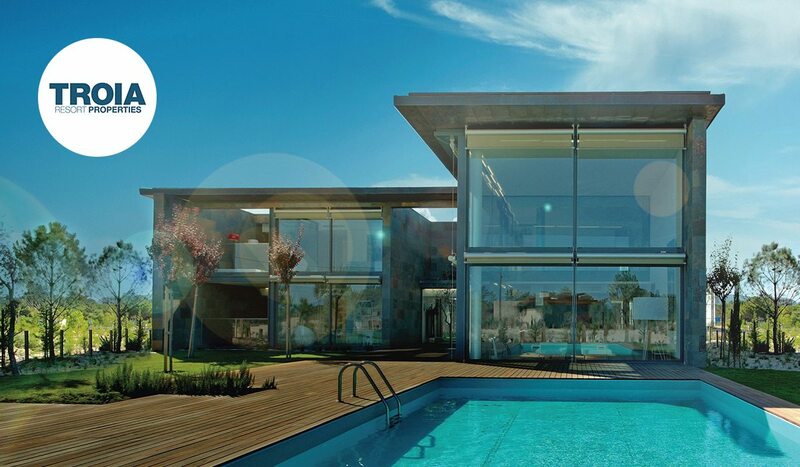 The Seven - A rare collection of seven exquisite homes by seven international architects. 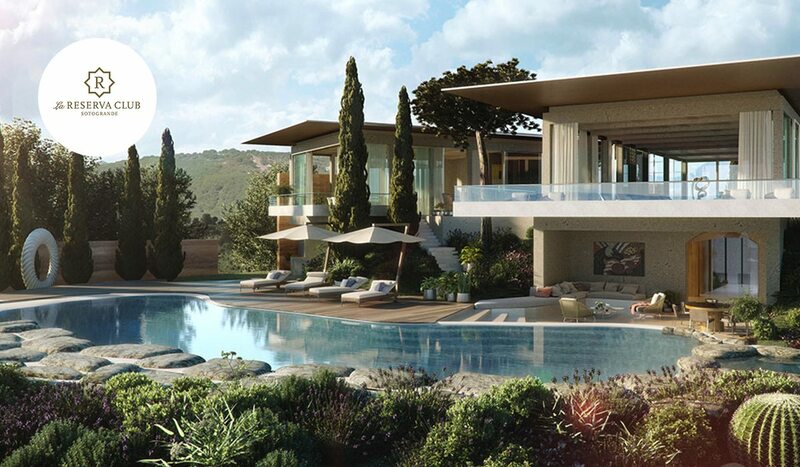 El Mirador - This private gated community of six dramatic four to nine bedroom villas overlooks the rich landscape and seascape of La Reserva Club and the Mediterrean beyond. Los Cortijos - Homes in this discreetly gated complex are designed for family life, with a solid, traditional feel, tiled floors and big open-plan living areas and spacious gardens. If you’re looking to dial down your pace of life then Sotogrande is for you. 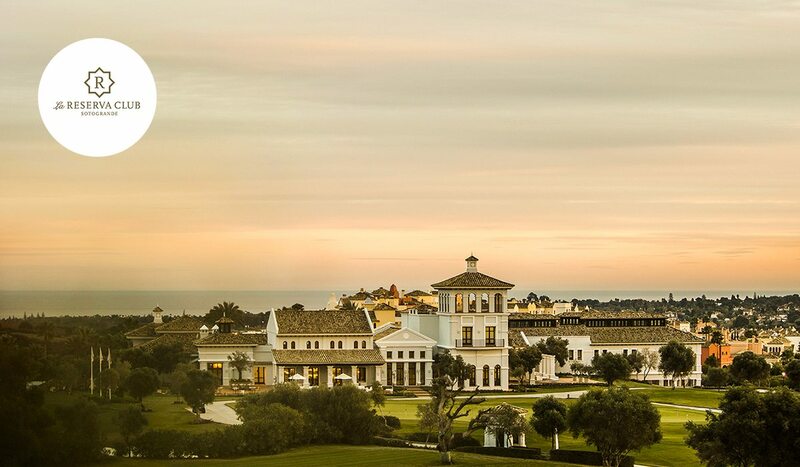 La Reserva Club takes pride of place atop the exclusive Sotogrande leisure and real estate destination at the southernmost point of Andalusia. 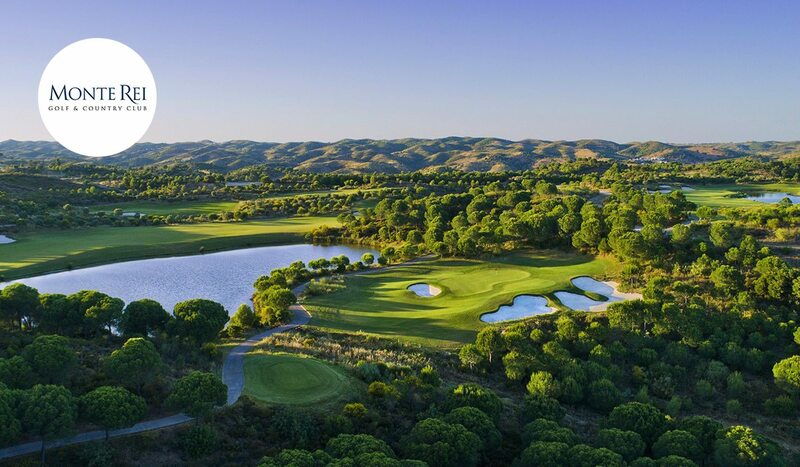 The panoramic views of the hilltop setting make for an incredible backdrop to the course, which in turn offers beautiful views of the Mediterranean Sea and Gran Reserva. A life of glamour and relaxation awaits those who choose to purchase a highly-sought over property at the resort. Choose from an exclusive villa at the top of La Reserva, by the marina, or in the Cortijos, which is situated close to an international school. 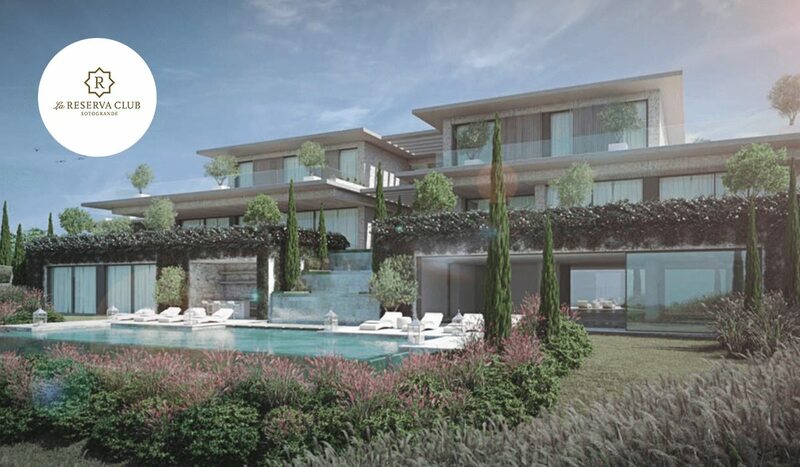 Despite the luxurious feel of this serene Mediterranean enclave, the community continues to lie at Sotogrande’s heart. Wherever you decide to stay, be sure to make time to dine at L’Olive. Under the meticulous stewardship of Parisian maître Olivier Claude de Paepe and Head chef, Christina Gutierrez Bergue, guests will be treated to some of the finest Andalusian and European cuisine to be found in this part of southwest Spain. Le Chateau course stands out for its spectacular water features and greens worthy of a championship course. Le Riou course offers vertiginous views over the Provencal villages. Calling for a large variety of strokes, it requires a strong and experienced game strategy. 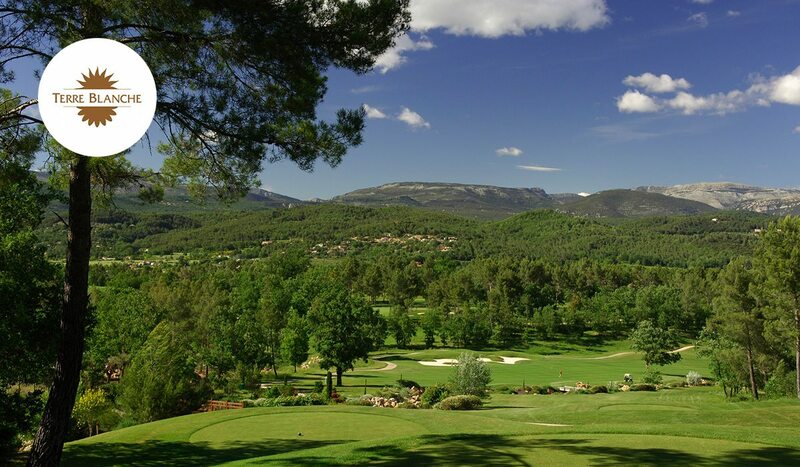 Since 2016, we organize the Terre Blanche Ladies Open, part of the LETAccess Tour. Bois Fleuri - Here, silence reigns and the proximity to the Spa and its benefits will accompany your quest of calm and serenity. Bois de Rouvières - This natural belvedere offers splendid visual escapades on the steep and mountainous landscape of the North and East of the Var. Bois de Fontmerle - It is located in the heart of the two golf courses. 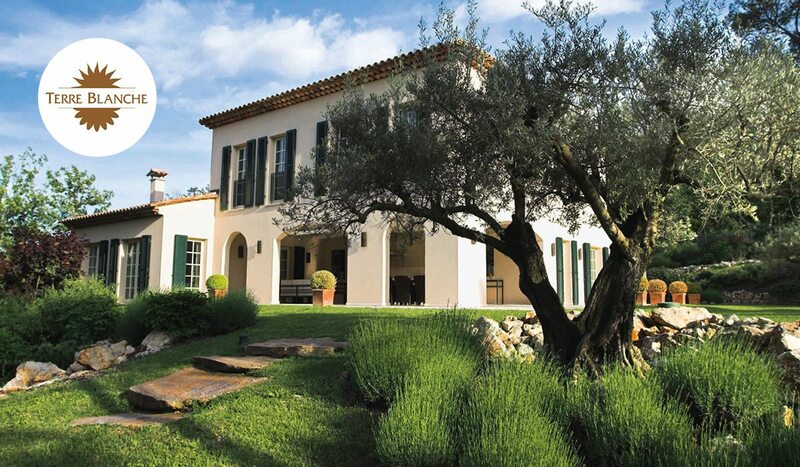 It is the closest place of residence to the Hotel and leisure activities and sports offered by Terre Blanche. 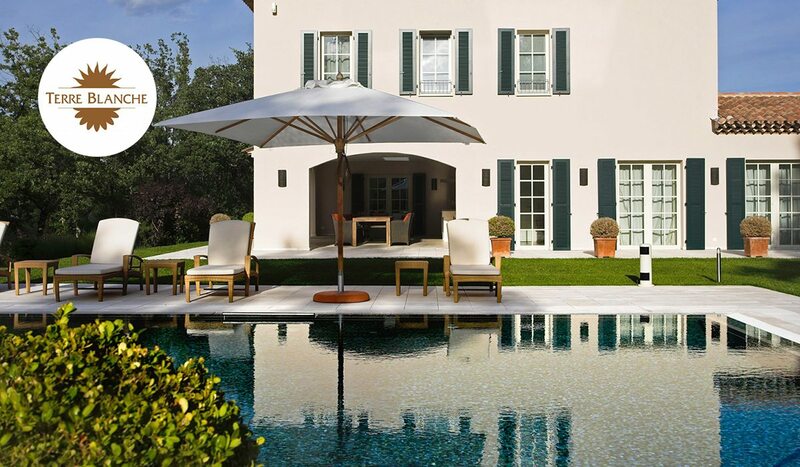 As locations go, you couldn’t get much better than Terre Blanche. Situated on the edge of the French Riviera, the two Dave Thomas courses, Le Château and Le Riou, enjoy 300 days a year sunshine. 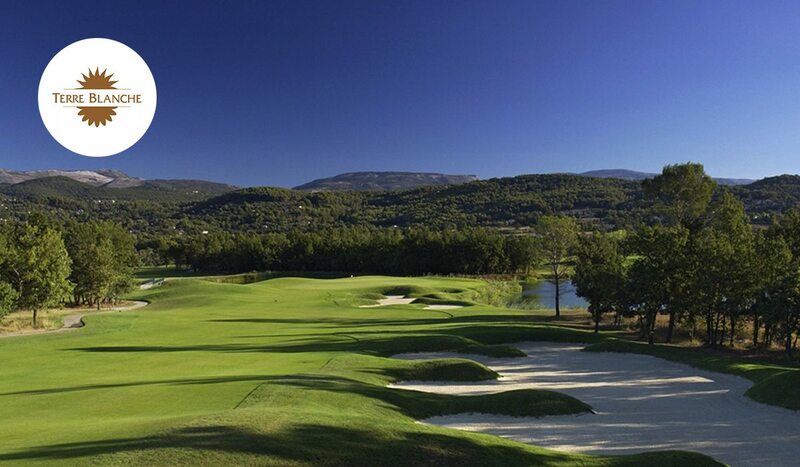 Despite boasting two exceptional courses, Terre Blanche is not just a world-class golf facility. This slice of Provençal heaven is one of France’s top resorts, with a Michelin-starred restaurant, luxurious spa and beautifully situated five-star hotel. You will inevitably fall under Terre Blanche’s charms. Luckily you can have your own slice of heaven through the real estate offered on the property. 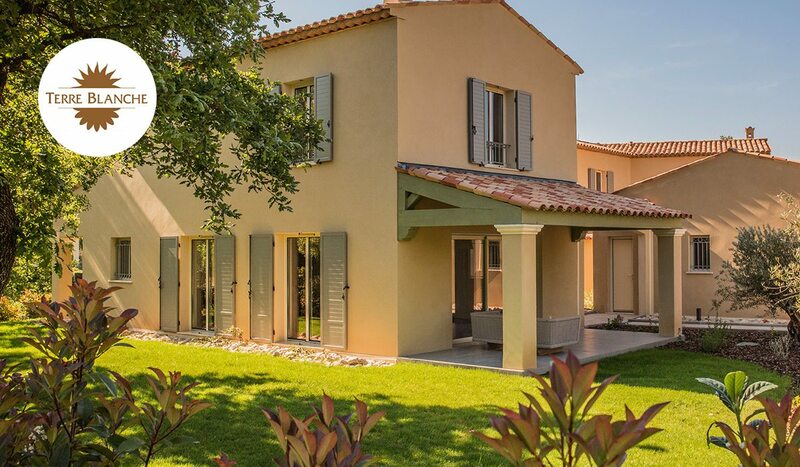 Overlooking the perched villages from Le Pays de Fayence the plots range in size from 2000 to 14000 m2, so you can choose the perfect size to build your dream villa. Troia Resort Peninsula - The benefits of a modern resort perfectly adapted to an exceptional landscape, make Troia a singular location in concept, elegance and quality. 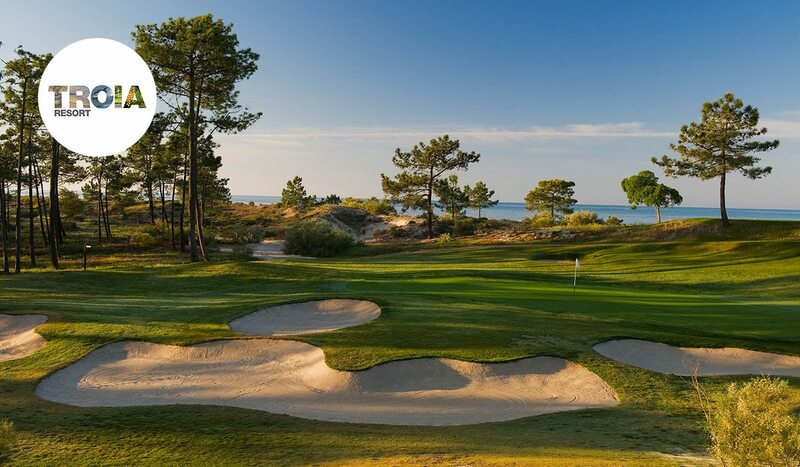 Located between Sado Estuary and Arrábida Mountain, TROIA GOLF Championship Course is an 18-hole and 72 par course designed by Robert Trent Jones Senior, with magnificent views over the sea. 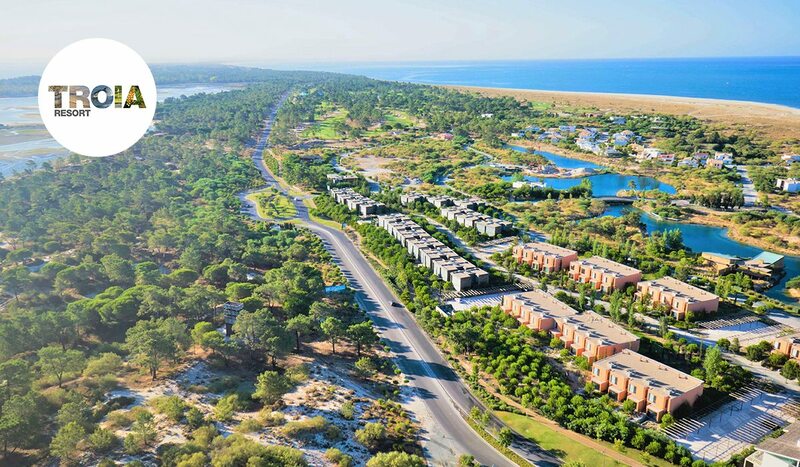 The Ocean Village, composed of 90 town houses – two bedrooms – is the area of TROIA RESORT dedicated to leisure and sharing with friends and family. Atlantic Villas - There are 96 plots laid out by the beach, the lake, the golf course and the dunes. One beach serves the owners of the Villas almost exclusively. Troia Resort, with exceptional views of the ocean on every hole, is among Europe’s finest golf courses. 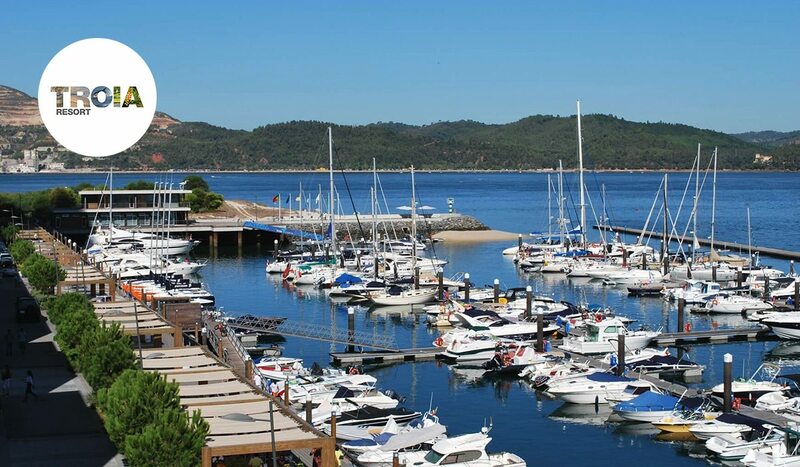 Accessible by ferry, the layout enjoys a magical location, wedged between the Atlantic Ocean, the Serra da Arrábida Natural Park, and the Sado Estuary. An oasis drawing inspiration from a beach lifestyle, the resort itself is equally splendid. 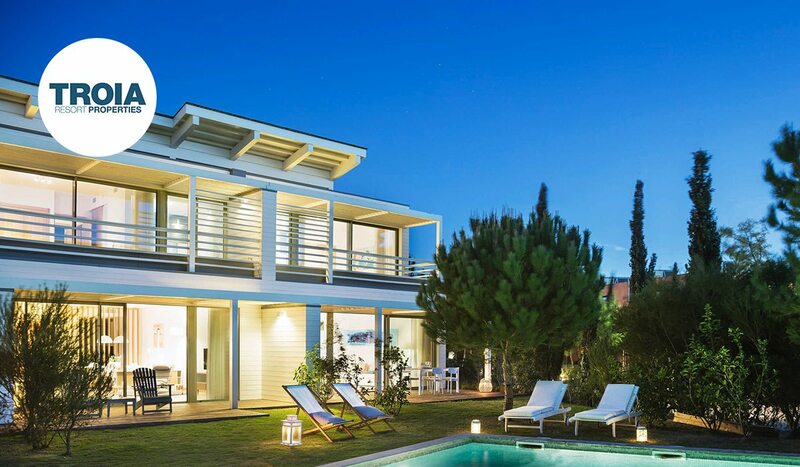 Less than an hour from Lisbon, the resort offers a variety of properties, including beach and marina apartments, and ocean-facing villas, all built to strict environmental standards. A European Tour Destination, Troia offers a unique combination of cultural, environmental, natural and gastronomic features. Home to extensive Roman Ruins, guests can also see dolphins frolicking in the waves, wine and dine at the selection of fantastic restaurants, or enjoy the area’s outstanding biodiversity on a variety of beach and dune trails. And after your game, the clubhouse Grill is the perfect place to unwind as you enjoy the very best of Iberian cuisine and fresh local fare. This par 72 Championship golf course designed by Jack Nicklaus is a truly unique design; with water coming into play on eleven of the eighteen holes. 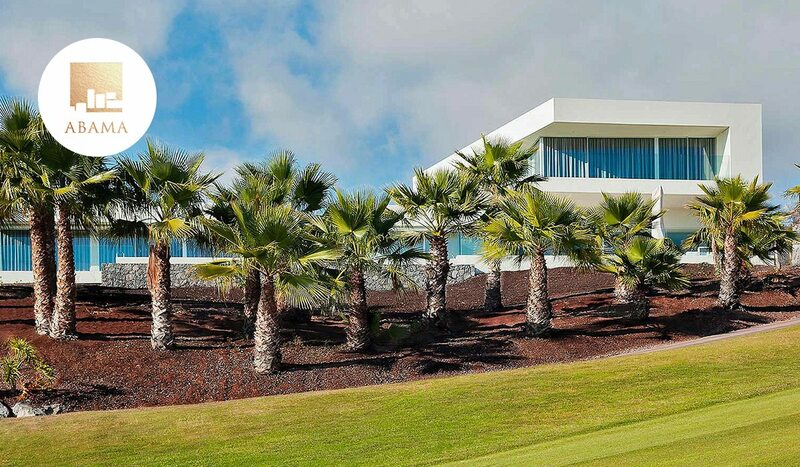 Loteamento Golfe - These exclusive villa plots ranging from approximately 1,838m² to 7,776m², are the ideal location for those looking for privacy and priviledge views over the magnificent and awarded golf course. 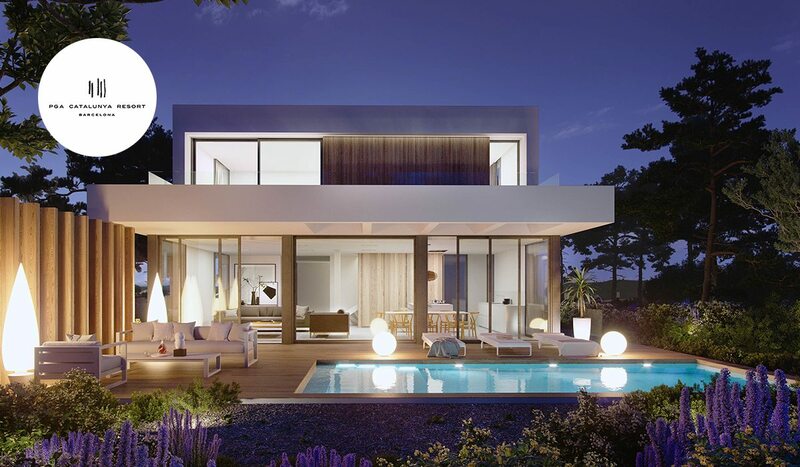 Casa Do Campo - Overlooking the 16th hole, these eight plots with sizes between 1,739m2 and 4,118m2 are conveniently located just a short walk away from the Clubhouse and driving range. At the O Miradouro Village, designed to offer an exclusive and luxurious living environment, each village plot is designed to provide a generous living space in a world class resort. The Jack Nicklaus designed course at Monte Rei, beautifully situated between the Serra do Caldeirão mountains and the Atlantic Ocean, is without a doubt one of the Algarve’s shining stars. Regularly ranking among the top ten courses in Continental Europe, the Golden Bear’s first signature design in Portugal is simply exceptional. As one of the region’s most exclusive resorts, the service is as outstanding as the course itself. The high standards continue when it comes to the real estate. The resort features a collection of luxurious apartments, penthouses, and villas. All are designed in a refined, contemporary style, and finished to the highest specifications. Among the most popular are the clubhouse residences where residents will benefit from convenient access to the spectacular North Course, World-Class dining options and their own private swimming pool. There is also access to gym and spa facilities. 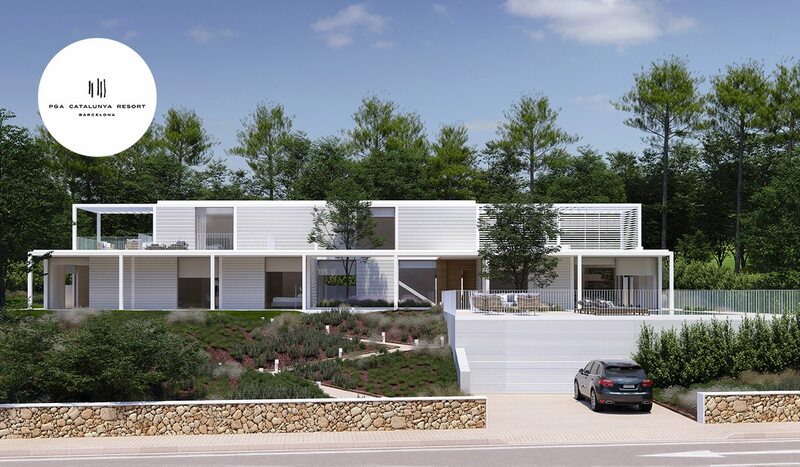 Owners can also choose to design their own villas, with a selection of plots available overlooking Eastern Algarve’s beautiful coastline, or Monte Rei’s pristine fairways.